Main assessment of an application is done in the office. Some of the activities done are listed below. Make sure direction on location plan exist, crosscheck on quantum and print orthophoto if necessary. "The SPU/LUP comment on development applications within a period of 14 days"
The next step is to visit the site so we can build up a mental picture of the development and its likely effects. The main purpose of the site visit is to compare the application to the physical reality. Is the application accurate? Are local features like existing buildings, embankments, rock outcrops and right of way show on site plan? How well would the development fit into its surroundings? Would it blend in, dominate or provide a welcome contrast? Is it a sympathetic design? Details as simple as the alignment of a roofline, its design and pitch or the materials used can affect a development’s impact on its surroundings. If it’s a larger development, how will it affect the local area, particularly the road network? Could it lead to further development? Would this be beneficial or damaging? Does it meet a need in your area for a particular type of development, for example affordable housing or small business units? How well connected will the development be to local services such as public transport, shops and schools? The next thing to do is to look at the area’s land use classification since all Planning decisions are made in accordance with the land use Plan and which sets out agreed planning policies for the area and is the background against which planning decisions are made. WHAT’S IN THE LAND USE PLAN? Land Use Planning has to be understood as an aspect of “spatial planning”, a term that refers to the “space” as a multidimensional concept that describes and reflects the synthesis of the physical environment and its use by humans, whereas traditional “land use planning” deals only with the efficient use of land (“land” as a synonym for the surface of the earth). A “plan” is an intellectual anticipation of a desirable situation in the future, or in more simple words: a plan describes how a situation in the future will exist. “Planning” therefore is the procedure to elaborate a plan. Actually this term covers a range of activities, from procedures of a purely technical type to administrative or governmental arrangements. It is important to understand that a land use plan always constitutes a compromise between various, sometimes conflicting demands on land and between opposing aspirations. The 3 main granitic islands of the Seychelles are marked by limited land resources, often steep slopes and narrow coastal plains, many sensitive zones and areas in need of protection (such as wetlands, river catchments, landslide and rock fall areas, unique coastlines etc.). As such, one of the key aspects of land use planning is to clearly distinguish areas suitable for additional or new development from areas which need to be preserved and classified as protected or as “no development zones”. "Once a Land Use Plan is approved and gazetted it becomes a lawful document. Hence, the officers are obliged to make their recommendations according to the land use plan and existing policies in regards to any application in question, regardless of their pers"
The planning Authority has been carrying out public consultations throughout the past three months, with the aim of getting members of the public who has interest in any property, to come forward and make objections on the proposed land use classifications, through the consultation form. When deciding what stance to take on a planning application it is vital to study the land use/development plan closely and identify any policies that are relevant to the case. Be prepared to quote these policies when you put forward your arguments for or against the proposal. If policies in the plan contradict your stance, you will need to argue why they do not apply in this particular case. One of the things that the land use plan dictates is every parcel’s plot coverage percentage, and one of the duties of a strategic planning staff is to perform density calculation for every application. After looking at the application and site visit, a planning officer can decide on his/her stance on the application. Planning authority’s decisions on planning applications are guided mainly by comments made by planning officers. Therefore the comment of a planning officer on an application carries much weight. Consider what the PA wants new development in the area to achieve, and establish some clear objectives against which you can judge the proposals. This will make your case to the planning Board more persuasive. Remember that good development can enhance the environment. If you know the area well or have specialist knowledge, you may be able to give the Planning Authority useful information. Try to get as much local knowledge as possible. Find out anything that could be relevant. Could a poor decision on a planning application set a precedent for a pattern of development that you do not believe is sustainable? For example, a small development outside a village’s development boundary may create housing. But in the long term could it lead to an unplanned expansion of the village? Always look to see if there are improvements that could be made to the proposal, either through changes to the proposed development itself or through the use of planning conditions. Improvements could include design alterations or measures to make sure that the development uses less energy, water or raw materials. For example, will it put a building or derelict site to better use? Will it meet a local need for a certain type of development? Perhaps you are concerned that the proposal is not designed to complement local character, or that it might damage an important wildlife habitat? Some potential negative impacts can be addressed by asking the local planning authority to put conditions or obligations on any planning permission granted. If this is successful, keep an eye on any future planning applications for the site in case there is an attempt to have the conditions or obligations removed or changed. It is important to take a long-term view of a development’s impact. Future consequences of the development and whether the proposal will help achieve sustainable development in the area should be considered. An officer may fully recommend an application on a land use point of view, request that amendments are made to the submitted application or not recommend the application. Recommend that an application be re- fused because it is not in conformity with the land use plan, for example if it exceeds the density requirement for the area or there is not enough space on site to cater for the proposed development. Recommend amendments of an application so that the proposal be in conformity with policies regarding distances and density re- quirements and physically fit in well within the area. Recommend refusal of an application if the proposed development will aesthet- ically and physically have an adverse im- pact on the natural and existing built in environment. For instance perhaps the development will require too much earth cutting and as such result in soil degrada- tion and affect other properties. Is mandated to work on strategic development policies and guidelines that relates to construction designs and use of land. These are then submitted to the Planning Authority Board for review and approval. This unit plays a vital role in assessing planning applications based on approved land use plans and land classifications. It is also mandated to prepare and or review land use and development plans including long term strategic plans. It assesses planning applications based on approved land use plans and land classifications and density threshold. It reviews and update information related to development plans and land use plans. 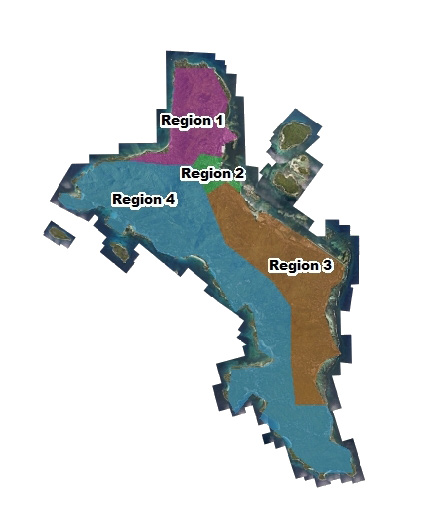 The Unit receives and provides pre-planning advise pertaining feasibility of developments in relation to the land use classification and allocated density threshold. It conducts public consultations related to projects that can potentially have major social impact nationally or on the community within which such development proposals are being proposed. Some examples of such proposals are churches, land use plans and development plans.